With technology changing every industry on the planet, computing knowledge has become part of a well-rounded skillset. 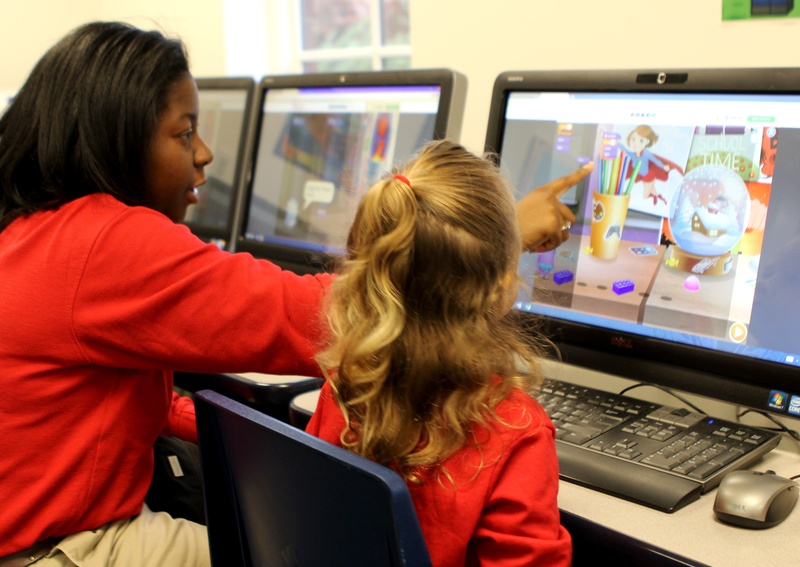 Lower school STEAM classes at Mount Paran Christian School (MPCS) join millions of students across the globe by participating in the Hour of Code during Computer Science Education Week. The Hour of Code is an international initiative enabling schools to offer a one-hour introduction to computer science, designed to demystify code and show that anybody can learn the basics. The Hour of Code event was created to raise awareness and exposure to coding for all kids of all ages. Students watch Hour of Code videos starring celebrities including Ashton Kutcher, Chris Bosh, Mark Zuckerberg, President Obama, Nobel Prize winners, and CEOs of YouTube and Yahoo. This introduction inspires them to work on coding games and activities during class. Every year students can be heard saying, “I did it! I figured it out! I made it work!” The kids can also see on the on-screen map that kids all over the world are participating, just like they are, providing connections for them. In the past, we have even zoomed in to other countries on the map to find out if the home countries of some of our international families were participating and found that many do participate. These activities help bring computer science to life for students in a fun and exciting way. 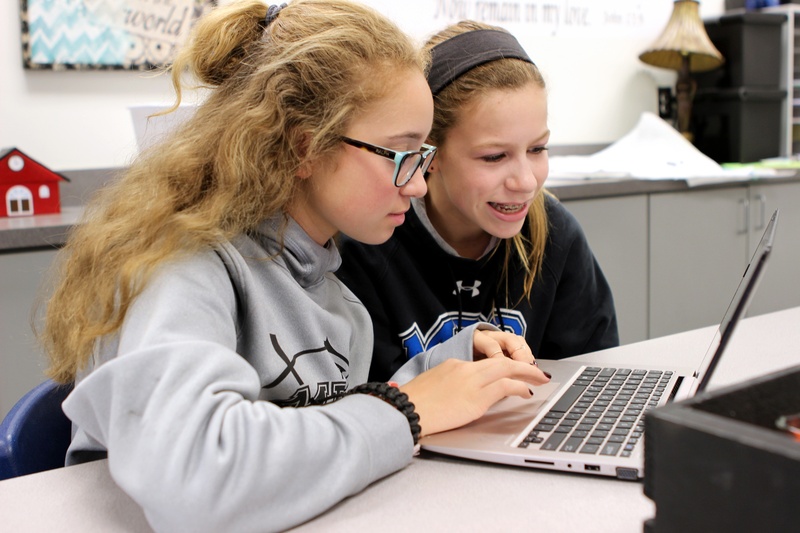 The Hour of Code is just the beginning of computer science at Mount Paran Christian School, where every lower school student is exposed to coding and robotics concepts throughout the school year in their STEAM exploratory class. STEAM incorporates Science, Technology, Engineering, the Arts, and Math into one class that focuses on the application of concepts with a hands-on approach. 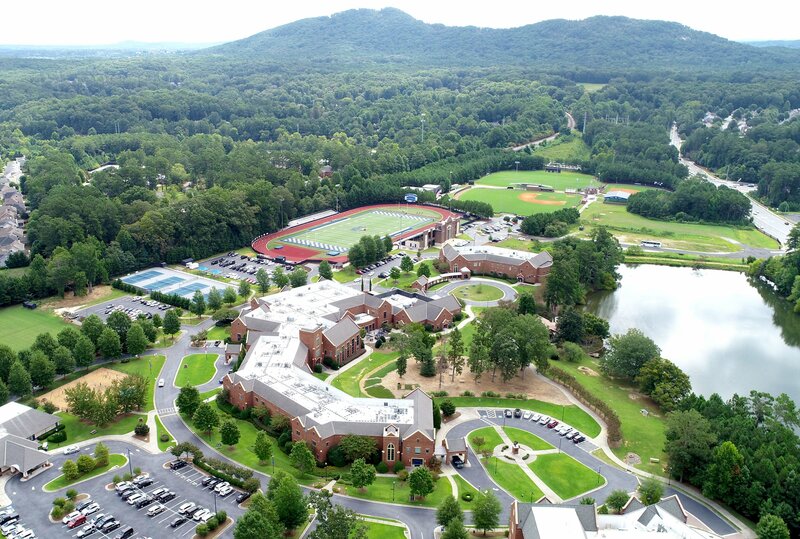 In the lower school, we teach our students how to think in a way that allows them to feel comfortable with trial and error and encourages problem-solving, which prepares them well for more complicated concepts when they arrive in the middle and high schools. While taking part in this national program is exciting and a great opportunity for students across the nation, coding is fundamental to the MPCS STEAM program. Since we believe strongly in the value of technology, every lower school student is receiving the STEAM foundation in learning. As a whole, students arrive in upper grades with a foundation in the basic thinking needed for computer science and a familiarity with coding concepts. The Hour of Code alone is not enough, but our overall initiatives with STEAM are making an impact. In addition, students in the arts are often integrated into Hour of Code activities, giving the students an opportunity to create music and art through code, which is really exciting to see come to fruition. As a PreK-12 school, we are also able to bring our older students into the lives of our younger students to mentor and encourage them as they develop their skills. 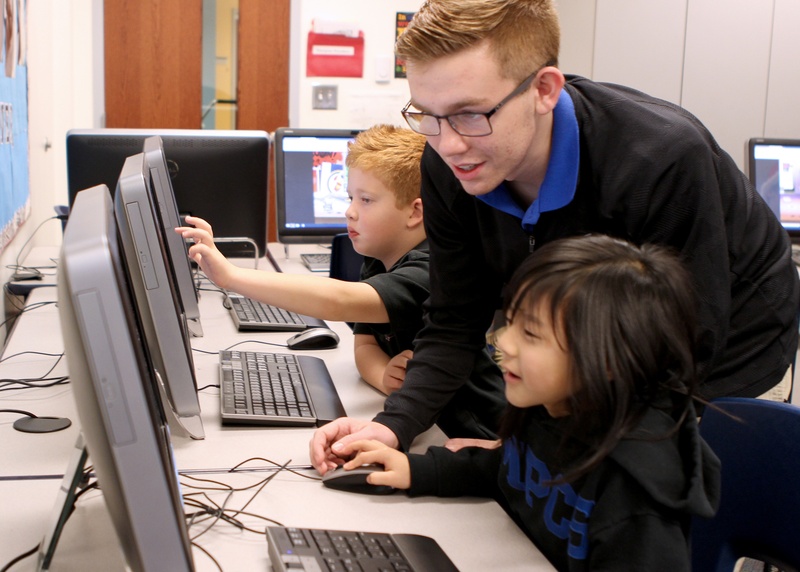 Our AP Computer Science students spent a morning helping our Kindergartners work through their Hour of Code activities. 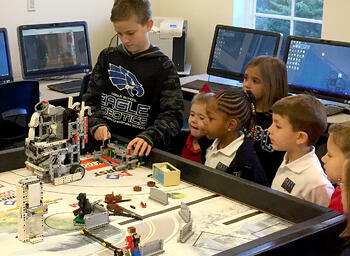 We also provide this interaction on a regular basis with our robotics teams. Our high school team mentors the middle school team throughout their season, and our middle school team is able to share their robots with our lower school students. In high school, MPCS offers courses in computer science and engineering. AP Computer Science, Foundations of Engineering and Technology, and Engineering Concepts courses help students learn to define a problem, brainstorm a solution, manage a project, and create, develop, and master the algorithmic structure of a computer program. These STEAM courses enable students to become proficient in 3D-modeling software and utilize technology tools that are essential for designing and manufacturing an end product. 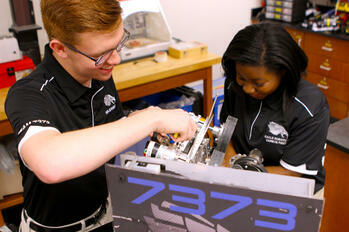 Courses such as these overlap and integrate seamlessly into the high school robotics program. Eagle Robotics has a 13-year standing tradition of developing high school students in the essentials of the technology required to build and compete with robots, while blending these skills harmoniously with engineering grade documentation, public speaking and presenting, project management, and service through outreach. Student programming is done in the Java platform and the execution of the code happens via Bluetooth between two cell phones: one on the robot and one in the driver’s possession. Competitive robots are programmed to run under driver control as well as on algorithms that can take information from its environment through sensors, to help it make its own decisions of what to do based on this feedback. This type of academic integration truly takes writing code and computer programming to a whole new level. The Hour of Code is just the beginning. Randi Terry is the lower school STEAM/Technology teacher and middle school Robotics coach at Mount Paran Christian School. Brad Smith is the high school Robotics coach and teacher of science and engineering. 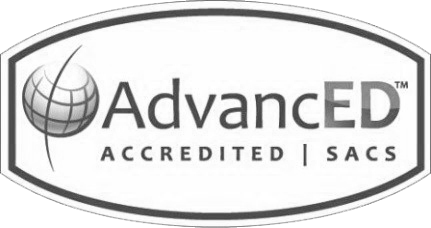 To learn more about academic rigor, innovative curriculum, and STEAM programs offered, please click here.